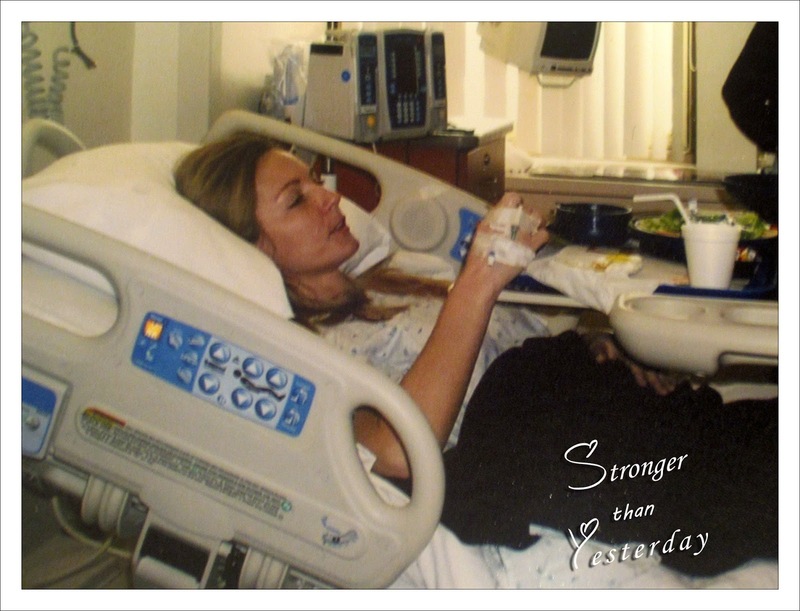 During those days after my second surgery there was an instant when my husband and my Mom were in the room with me, I was curious as to what actually happened to us. Not quite understanding the details or maybe the details were blocked as a safety measure by my own instinct, I asked them for specifics about the accident. I had no recollection that there were four vehicles involved. I thought it was just him and I. Four vehicles,that's a big deal. Inquiring about the other motorist, they broke the news that we were hit by a drunk driver and that he did not survive. Time froze in that moment of realization, complete shock encompassed me. I could barely obtain a clear thought anyway, but this had me in awe. Their images were obscured as I tried to grasp their words. I was involved in a fatal car accident, this was hard to fathom. I asked many questions. Sometimes asking the same questions over again because I didn't recall asking them the first time. This stage replays in my head many hours of the day as I try to comprehend. I was involved in my own thoughts when I heard my Mom say something about my face. Oh my Gosh! I had been consumed with my ankles and hadn't even considered that I may have lacerations or burns. In fact, I had not even looked at myself above the waist, at least that I could recall. I asked for a mirror and they explained the left side of my face was burned from the airbag. When I viewed my image I was a taken aback by the reflection. I scanned my face and it was red from the burns and starting to peel in some places. There was a perfect line down the center of my face since I had apparently turned my head to the right when we were struck. I examined the rest of my body to find it was beaten up as well. My left shoulder had a deep throb in it, like something was torn. I had minimal movement with it. Bruising was shown everywhere on my person especially on the left side of my body. Deep, purple bruising. My body was riddled with them as well as cuts and scrapes. How my face and upper body were spared from the glass I can't figure out. The glass had only penetrated once at my hair line and once above my lip. Minor scars for such a severe tragedy. 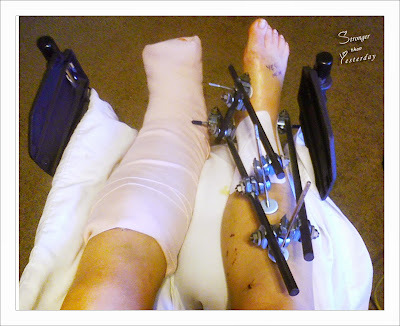 Daytime softened into night and on my ninth day of being stationed on the orthopedic floor of the hospital, the day before I was released, I was jolted to consciousness by an immeasurable pain afflicting my right lower leg. It was centered exactly over my fibula that had been crushed. It stole my breath and ability to speak. My husband was swiftly by my bed side asking what was causing such drama from me. In the midst of expressing my thoughts, I could feel the spasms forthcoming. It began slowly, as to let me know I had better prepare, then it rushed in a wave of convulsions. I thought my leg was being shattered all over again. My husband called for the nurse as I collapsed back to my pillow. The lines around my eyes grimaced as my eyes slammed shut, gasping. There was a traction device over my bed and with the next spasm I grasped the handle and growled as my teeth clenched together furiously. Involuntary short grunts were coming out between my gritted teeth as I endured the torture. This happened time and time again, never relenting. This behavior is not an action I am accustomed to. I have no control over this. A sob escaped my lips as I was fighting another convulsion, I can't take anymore. "Please!" I begged silently. In desperation, my husband grieved, " Oh Carey" as he laid his head on the bed beside me while grasping my right arm, my amazing nurse let tears fall as I fought through this. She frantically called for the physician to obtain permission for an additional dose of Dilaudid. My cries were great as she pushed the brilliant fluid through my IV. Quickly the spasms subsided as I abandoned awareness. The humor of my coming experiences were just beginning. The next morning all thoughts of the previous day were forgotten as my nurse entered my room explaining that I could be discharged as long as I had a bowel movement. She was candidly holding a suppository in her hand and asked if I wanted her to insert it or if I preferred to do it myself. My head whipped over to look at her hand and I was bewildered and appalled. It was like she was asking me if I wanted cereal or eggs for breakfast. "Uh, I'll do it" I stammered. Good grief, the things I have to go through! I knew anytime you have surgery or an extended hospital stay that this was policy, I just hadn't thought about it for myself. Later, I was abash when my husband informed me that this wasn't the first time I had encountered the nurse with a suppository. I'm overjoyed that I don't remember these incidents. A physical therapist taught me how to get out of bed and transfer myself to the wheelchair. We toured the orthopedic floor as I learned to maneuver my new ride. I giggled at the thought that they let me operate it while under the influence of such strong pain meds. 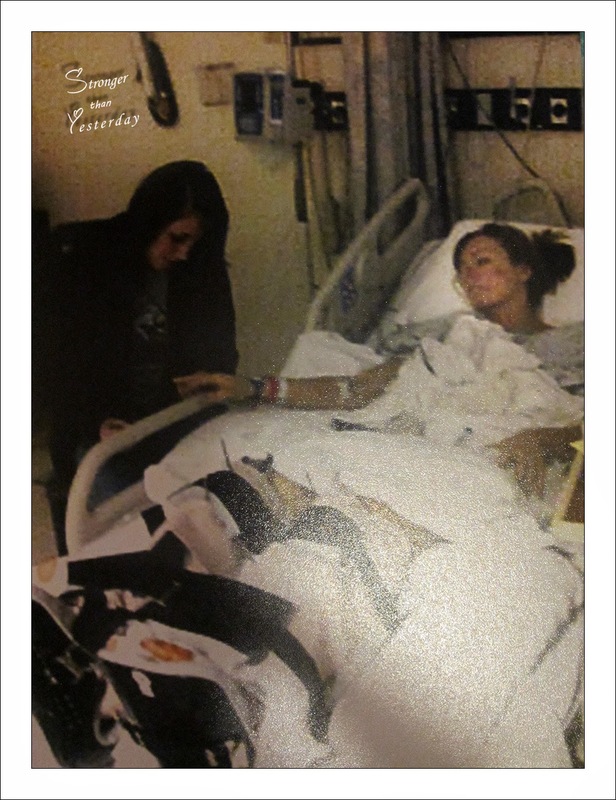 We were in good spirits and on the tenth day I was released to go home to live without Dilaudid. or you can let it strengthen you."